2017 marks 50 years since Achieve Tahoe started making differences in people's lives, they look foward to another 50 years helping even more people. Celebrating its 28th year, Achieve Tahoe’s signature craft beer blowout event, Foam Fest, is bigger and better than ever before. 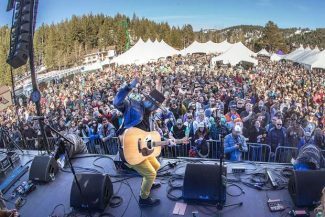 On Saturday, Sept. 2, legendary band Ozomatli will headline the event at Squaw Valley, setting the stage for one of their signature, lively dance parties. “People always really like to come sample all of the different beers and we’re staying true to the craft beer craze featuring popular and less well known beers, which is part of the fun,” said Achieve Tahoe Executive Director Haakon Lang-Ree. “Plus having live music there — we think Ozomatli is the best band we’ve been able to bring into the event and that just adds to the venue, which is a beautiful setting on the KT Sundeck. It’s the perfect Saturday afternoon on a holiday weekend,” he added. In addition to being a powerhouse performance group, Ozomatli has been using their musical gifts to bring people together and promote positivity and compassion since 1995, when they got started in Los Angeles. The band is made up of six instrumentalists of different backgrounds, who all sing together. If one were to characterize a “lead singer” of the group it would be Asdru Sierra, who is also a songwriter, trumpet and keys player, and a family man. He shared insight on the band’s motivation, not only to deliver music you can’t help but dance to, but also to help break down barriers in society and encourage people to look outside of their immediate surroundings to appreciate other cultures. “I think it’s important that with our music, when you look on stage, you’ll see that we’re all from different places; there’s only two and a half Mexicans in the band, we’ve got a Japanese-American guy who studied classical music in India, we have a Jewish guy who learned to speak Spanish fluently, and he’s into the polka folk music, he knows all those cats and has his own alter-ego persona. We’ve got a Basque-Mexican guy playing saxophone and clarinet, and he’s his own source of music,” Sierra explained. He went on to say that the population of just the middle class in India outnumbers the entire population of the United States alone, to put into perspective how big the rest of the world is; and yet, the U.S. is one of the only places where Indian Bollywood music isn’t popular. He said in the band’s early years they sang in English and in Spanish, and found that the English stations wanted them to get rid of the Spanish ballad parts of their music, while the Spanish stations wanted them to get rid of the English rap parts of their songs. “Nowadays there are songs like ‘Despacito.’ That just tells you where the world is at. It was almost a detriment to us back then, that we were what we were; singing in two languages. 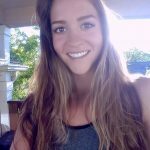 Meanwhile if you go to Europe and you don’t speak two languages you’re considered almost uneducated; you need to speak other languages just to live there,” Sierra said. Ozomatli’s goal is to incorporate sounds from different cultures in their original songs, in hopes that people will be motivated to dig deeper into different playlists, expand their music experience and in turn, expand their appreciation for other cultures and other people. “When the wars started we delved into making music that had Middle Eastern experience in it. It seems like it’s easy to dehumanize other humans and cultures, putting them in one big group to make the war easier on our conscience. We did our best to keep humanizing people; let’s not lose our humanity by dehumanizing others,” he said. “If we can do that with music, if we could convince just one person of that maybe it would cause a ripple effect,” he added. Ozomatli got their start volunteering to play for a community youth center in downtown Los Angeles during post-riot times to help raise funds for maintenance of the building. They believe in performing at venues that allow them to raise money and awareness for a cause, and Foam Fest is another opportunity for them to get behind an organization that they support on an even deeper level than one might expect. “For me personally this event is a big deal because my little brother is in the Special Olympics, and it’s a really beautiful thing. I totally am excited to perform at Foam Fest because it’s a big deal, it’s a cause about inclusion and unity for all individuals, and I think that’s the best way to look at the world — bring everyone together to dance and think a little bit about why they’re here,” Sierra said. 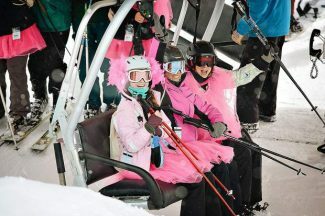 Foam Fest is a fundraiser for Achieve Tahoe’s programming with adaptive sport athletes, including people from all ages and backgrounds with all levels of physical, sensory and intellectual disabilities, as well as disabled veterans. “This is a good thing and it feels good, too. It’s beautiful when we do something that is meaningful like this to help humanity rather than divide it,” Sierra added. Sierra said that growing up as a Mexican American by descent has given him perspective as an adult on the way people treat each other. He recalled watching his parents as immigrants, and what they had to go through. “I believe music is the most effective way to put out a feeling or a message without anyone getting hurt. It’s just as effective as a bullet but it’s peaceful,” he said. 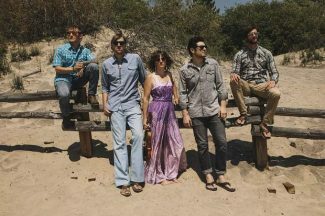 The band’s message is very much reflective of Achieve Tahoe’s mission, which is to promote inclusion among all people. Through events like this, Achieve Tahoe is able to continue offering opportunities for people to participate in all of the outdoor recreation in North Lake Tahoe. “It’s so important to get the word out to people with disabilities and their families, who might not get out as much as they should, there’s no prerequisite to participating,” Lang-Ree said. 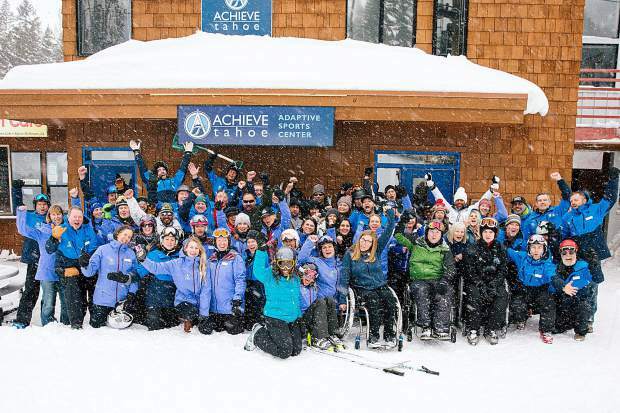 “We couldn’t do it without our 200 to 300 volunteers who make it all happen, and we are currently recruiting for people who want to be adaptive ski instructors or helpers on the hill,” he added.